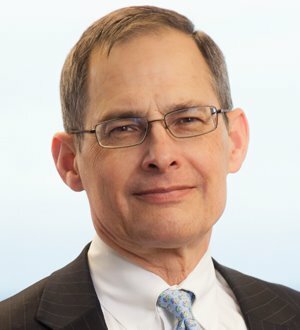 Dan’s practice is devoted to civil litigation with an emphasis on significant business, product liability, professional liability, and premises liability disputes. He has extensive litigation experience in cases involving complex medical and scientific issues. Dan has successfully tried numerous bench and jury trials in State and Federal Courts and has been engaged as counsel in a number of cases which resulted in published appellate decisions. He has longstanding relationships with a number of corporate clients by which he has been engaged as lead litigation counsel and as local, state or national coordinating counsel. Dan has extensive experience in managing a varied portfolio of litigation and other liability matters on behalf of corporate clients. Dan has been engaged by several law firms as their litigation counsel in connection with professional liability claims and lawsuits. Since the advent of alternative dispute resolution, Dan has acted as an advocate in several hundred mediations, including pre-suit mediations. Dan frequently speaks at continuing legal education and at client sponsored seminars on a variety of litigation related topics. Represented several financial institutions in connection with loan participation agreements and auction rate securities disputes. Obtained dismissals during 2010 of two major product liability cases in which persons who had lost limbs alleged the existence of various product defects. Recently obtained a defense verdict for a national retailer in a trial involving claims of complex regional pain syndrome and near total disability. The trial involved the testimony of multiple physicians. Successfully represented a securities brokerage firm in an effort to enforce covenants against a former employee. This matter was widely reported in industry literature. Has obtained numerous favorable settlements and summary judgments on behalf of manufactures, distributors and installers of various products as to which exposures resulting in disease or death have been alleged.